Prescot is one of the most historic towns in Merseyside. 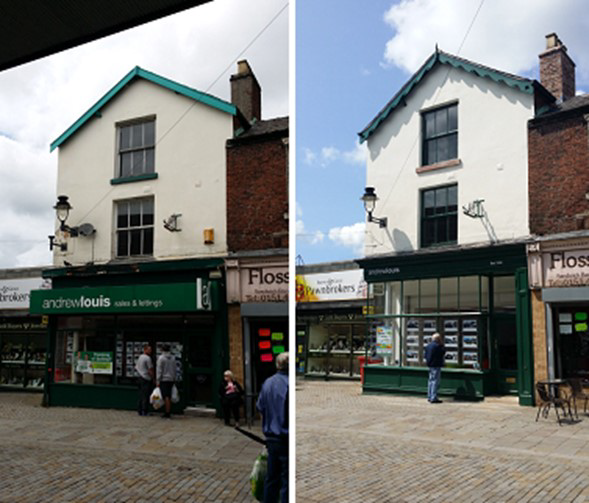 The five-year Townscape Heritage Initiative Scheme will see the repair, restoration and re-use of historic buildings and spaces in Prescot town centre. 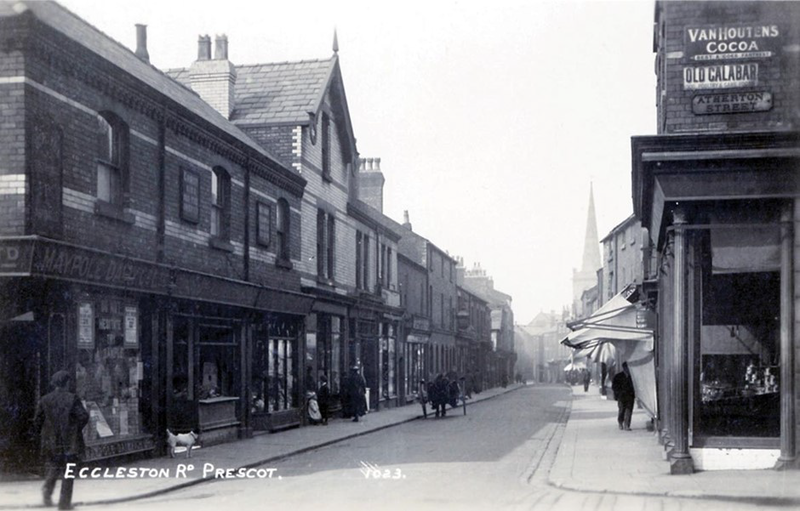 The project has drawn on the diverse heritage of Prescot to help shape the town’s future. 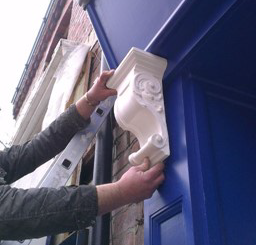 It was funded by the Heritage Lottery Fund, Knowsley Council and other local partners and landlords. Quadriga has completed work on buildings 19, 54 and 56 Eccleston St. 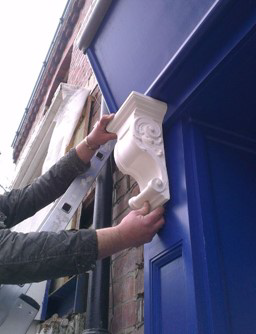 The work involved restoration of historic architectural features to include Victorian shopfronts. Work started at 19 Eccleston St, an early Victorian building occupied by Andrew Louis Estate Agents, in late 2015. The building, which was once home to watchmakers Joseph Preston and Sons, has been the source of some historical excitement with the uncovering of an old shop sign. Installation of clear internal security roller shutters to assist with the external aesthetic appearance. 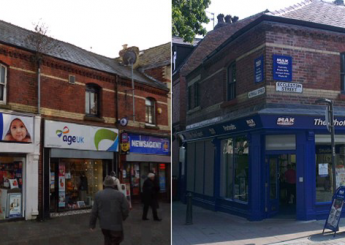 The work was followed by the repair and restoration of 54 and 56 Eccleston Street, currently occupied by Age UK and Max Speilman. The building materials and architecture of 54-56 Eccleston Street illustrated the time in which they were built. With the arrival of the railway in Prescot in 1870 it became possible to bring in building materials easily and cheaply by rail. The bricks and slates to 54-56 Eccleston street where supplied from further afield. Quadriga was able to source very evenly coloured and fired red bricks along with cream bricks to match the decorative bands. 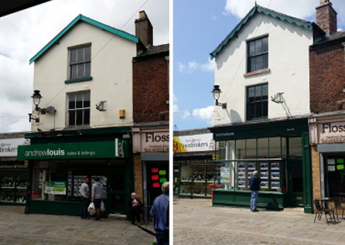 As well as being uniform in appearance upstairs, 54-56 Eccleston Street were very uniform downstairs with the shops having matching fascia signage, pilaster and bracket details, but the shop windows and doorways designed to suit the business.